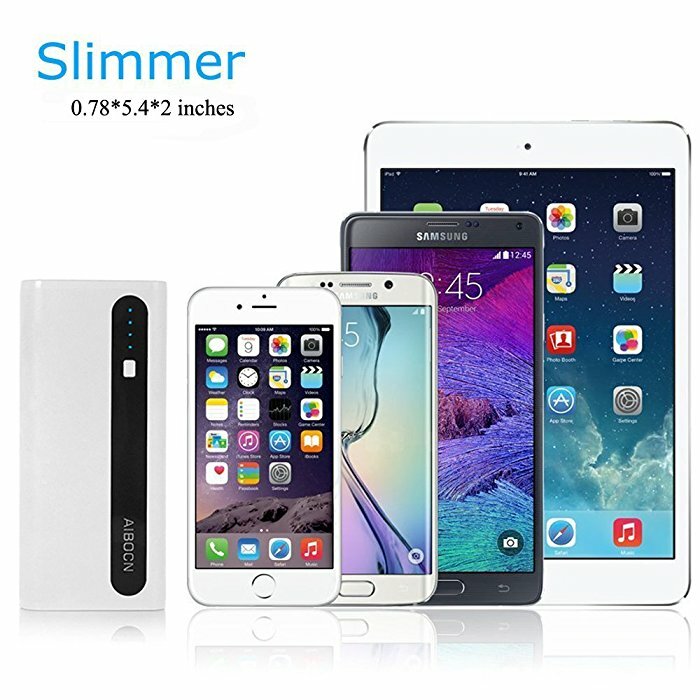 The lightweight external battery has 10000mAh high capacity to hold great backup power for your mobile phones and tablets. 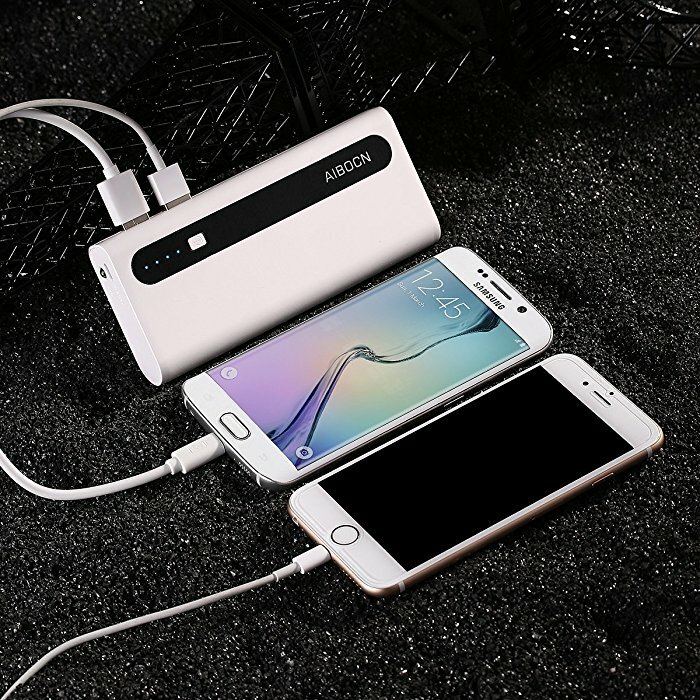 This fast charging portable power bank is designed with dual USB ports, 2.1 amps and 1 amp for each. 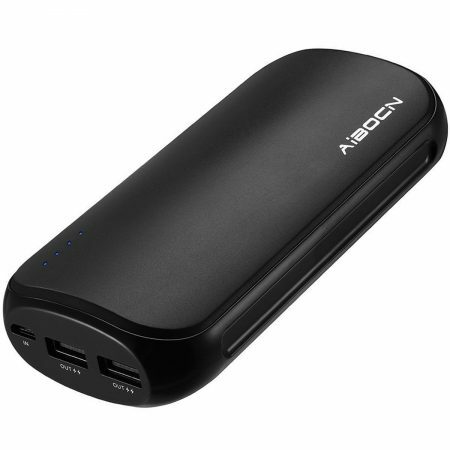 It charges two devices simultaneously with quick output. 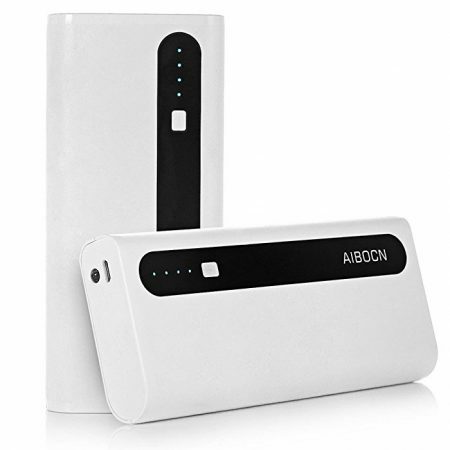 The unique power bank is well made with a small, compact size, allowing you hold in hand comfortably. It comes in handy for travelling. 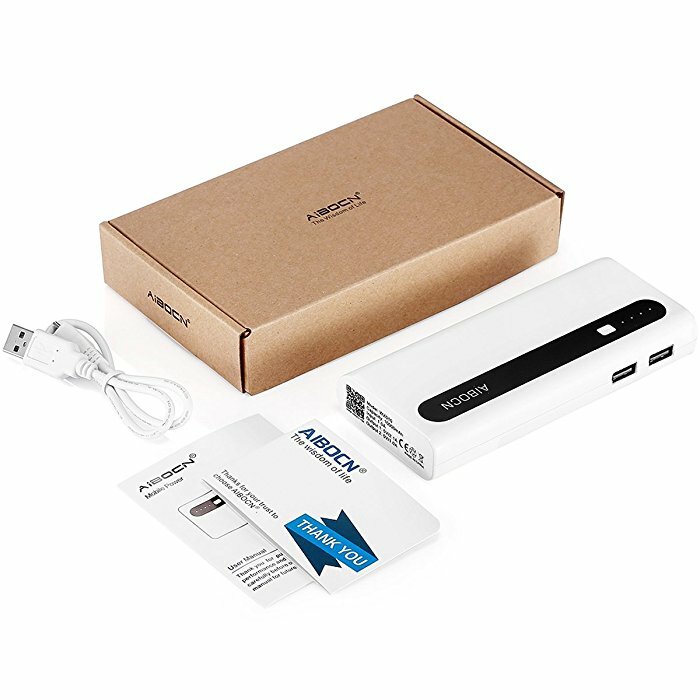 It has an LED flashlight function for emergency or in some dark environment. 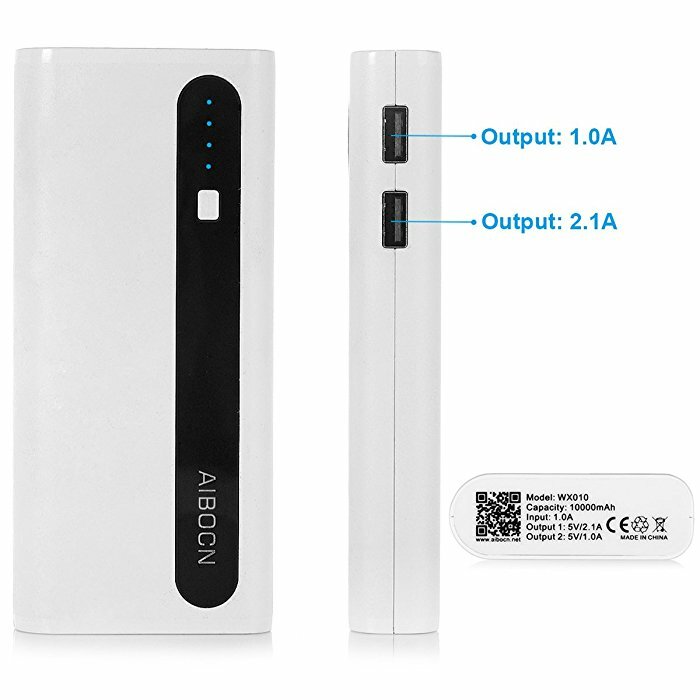 The pocket power bank is equipped with four smart LED lights as indicators for battery charging level. 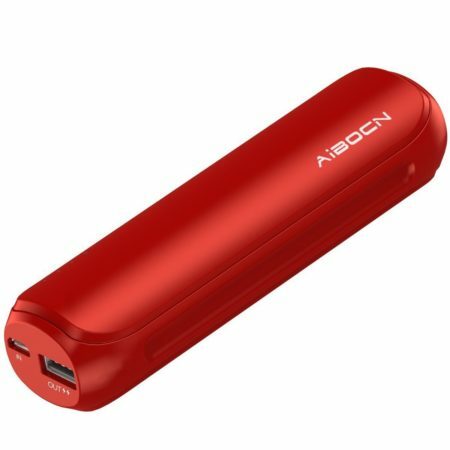 The portable USB battery charger has total protection against overload, short circuit, over heat and over discharge for long lifespan. 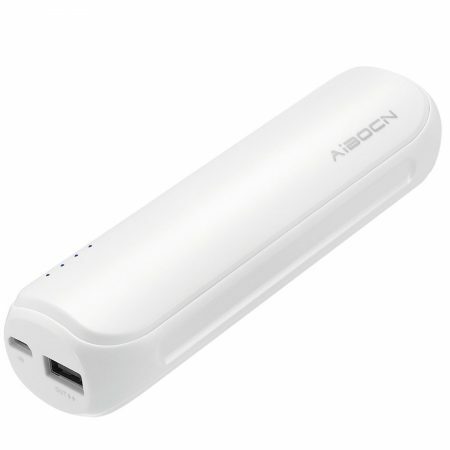 This powerful portable charger is of fine workmanship with a creative outer hard shell. The outer shell is designed with a nonslip cover, making it more durable. It has a portable size of 2 * 5.4 * 0.78 inches. 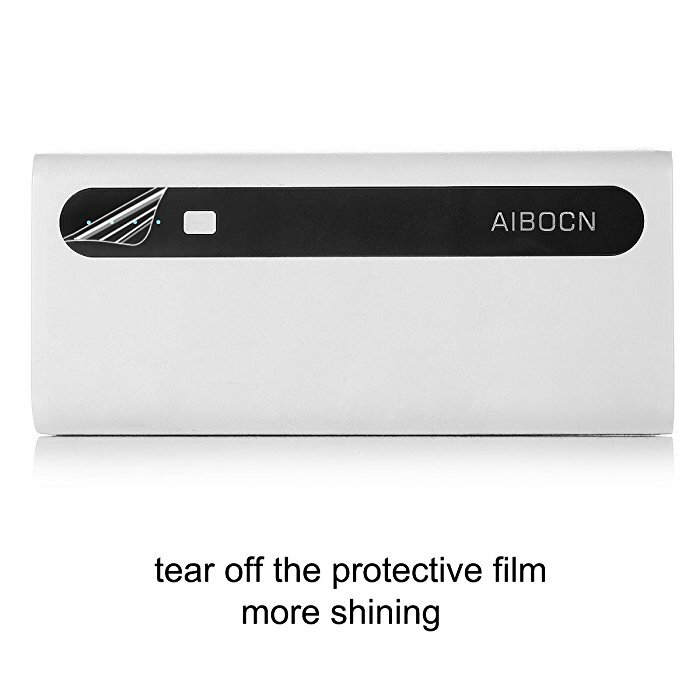 The protection stops malfunctioning problems, such as overcharge, overdischarge, overheating and short circuit. Your worry-free use and the long lifespan of both your devices and the powerbank is guaranteed due to the intelligent protection. 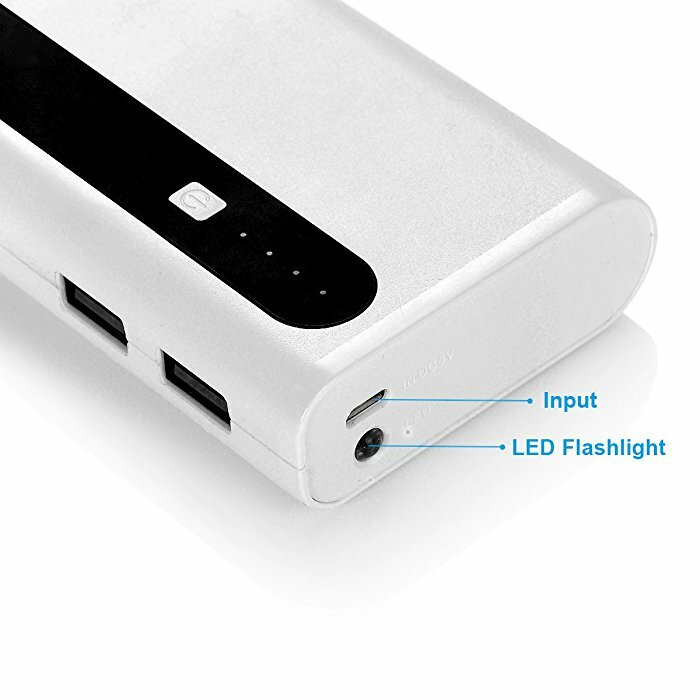 Once any problem accidentically occurs, the powerbank will automatically shut down for safety protection. The powerbank has a 10000 mAh capacity, which holds tremendous power for your mobile devices’ backup use. 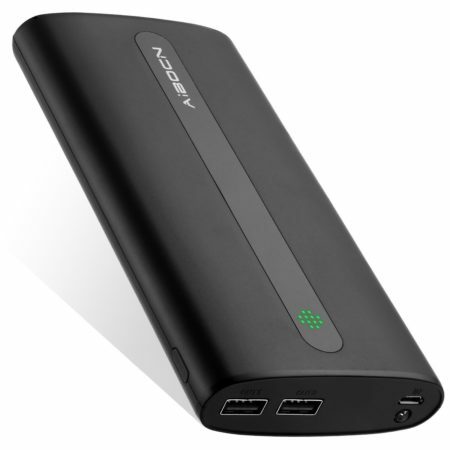 And the double USB output ports allow you to charge two devices at the same time. — Most popular tablet, e.g. iPad, Kindle, Samsung Galaxy, Google Nexus 7 etc.